Do you have an idea for a product but don’t know how to bring it to fruition (design, plans, process, etc.)? MICRO designs and makes custom-built machinery, based on the client’s idea. 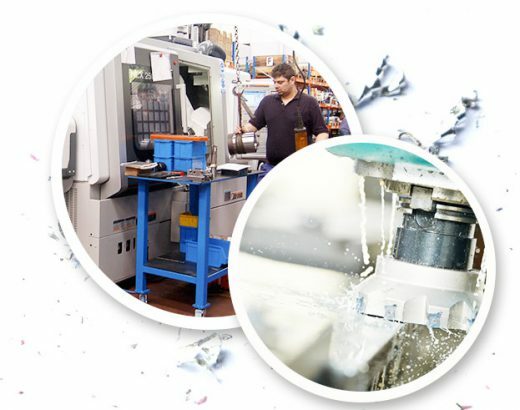 We take care of the design and supply the custom-built machinery, in keeping with the philosophy of turnkey projects. The machinery will therefore include of the necessary elements (mechanical, pneumatic, hydraulic, electric, and control components), the installation or incorporation of the machinery into a production line, the start-up and after-sales maintenance service. At MICRO we form the client’s development team, to be able to achieve the aims established in the early stages of the project, from the planning and design stage until the product enters production. We contribute our knowledge, our experience and the latest equipment.